Think about it. Be honest. Is your child an “Instant Gratifier” or a “Patient Postponer”? So what? Does it really matter? Further; as a parent, teacher, and mentor do your actions and interactions make a difference? Can we teach children self-control and shape them into Patient Postponers rather than Instant Gratifiers? But why do some children grow up as Patient Postponers and able to resist temptation, delay gratification, and others do not (Instant Gratifiers)? And what does this have to do with childhood overindulgence? To test this we asked 466 participants to answer 128 questions consisting of demographic data and seven psychological scales. 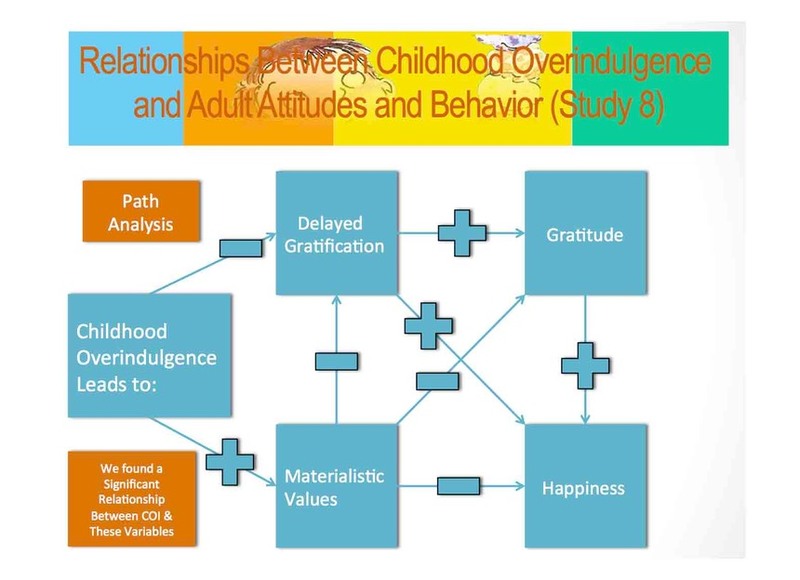 My fellow researcher Mary Slinger and I established that delayed gratification is connected to childhood overindulgence. Conversely, if individuals are not overindulged as a children, they are more likely to delay gratification, to not be materialistic, to feel grateful, and to be happy. 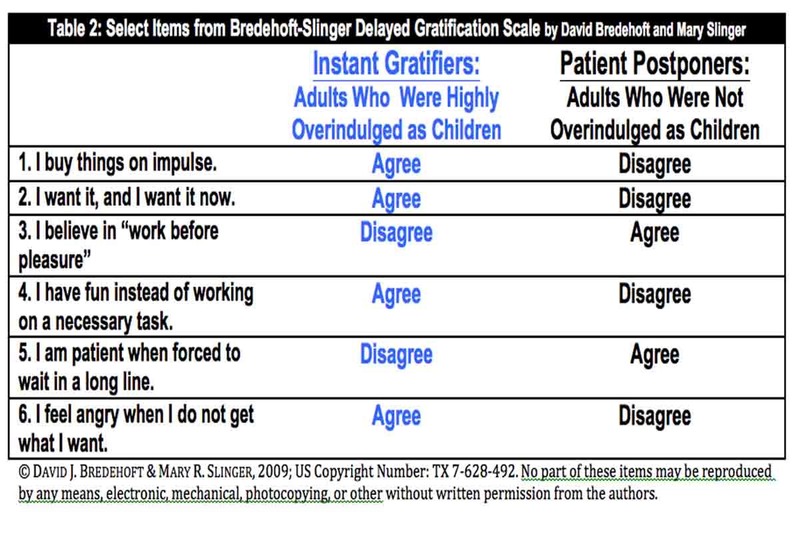 More specifically, we found significant differences in ability to delay gratification between those that were overindulged as children, and those that were not (see table 2). Participants who were not overindulged as children were more likely to be “Patient Postponers” rather than “Instant Gratifiers”. 1. Model patience and delaying gratification. 2. Teach your children to set goals and develop plans to work toward their goals. 3. 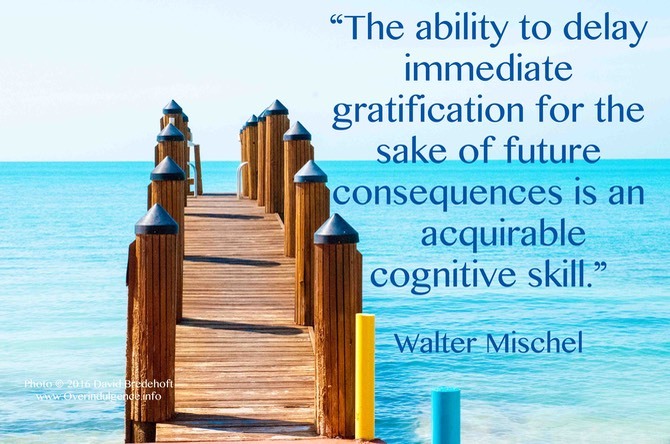 Reward delayed gratification and self-control. 4. Play games that emphasize delayed gratification and self-control (i.e., Red Light, Green Light). 5. Resist the urge to overindulge (giving children too much, over nurturing them, and/or not providing rules). Photos and graphics by David Bredehoft and Fotolia.